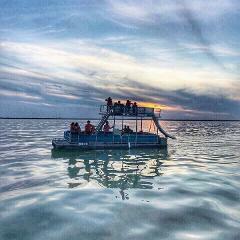 Our pontoons can accommodate a maximum of 12 persons. Click the 'Prices' button above to view our complete price list for all durations and boat types. 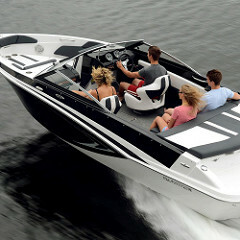 Our ski boat is a great choice for skiing, wakeskiing and wakeboarding. Click the 'Prices' button above to view our complete price list for all durations and boat types. A Double-decker pontoon that you drive! Click the 'Prices' button above to view our complete price list for all durations and boat types. With full features and full performance in one package, you will want to stay out on the lake all day with this WaveRunner! 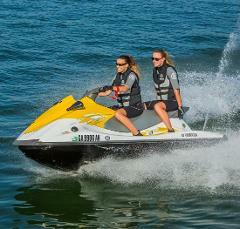 Click the 'Pricing' button to view our complete price list for all durations and boat types. 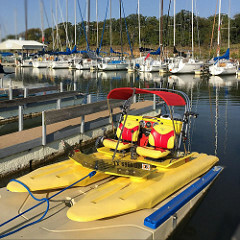 Our Craig Cat is a fun 2-person boat! Click the 'Prices' button above to view our complete price list for all durations and boat types.